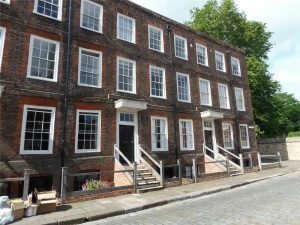 Listed buildings form part of this country’s built heritage and not only contribute to the streetscape of our towns and cities but very often form the backbone of our countryside. For many, owning something so special is a pleasure and is often akin to owning an antique – but with a practical use. According to Historic England, there are more than 500,000 listed buildings in England, including a significant number of churches, public buildings and an increasing number of commercial or industrial buildings. However the vast majority are privately owned houses that rely on owners of all ages to put their hearts and souls into cherishing and maintaining them. 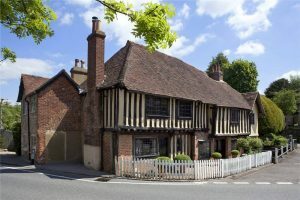 For those thinking of buying or are new to owning a listed building there are a few key things to note. Firstly, it is still a common misconception that only the exterior of a building and/or the items specifically mentioned in the listing description are covered by the legislation. This is not the case; the listing laws cover both the exterior, the interior and anything that touches the listed property and this can extend to certain outbuildings and garden walls or gates. Secondly, alterations to the property that affect its character will require listed building consent regardless of whether it is Grade I, II* or II. The law is the same for each category, although changes to a Grade I building may be decided by Historic England rather than the local Conservation Officer. Failure to get consent can result in problems when you come to sell and vendors are required to make a legally binding statement that all necessary listed building consents have been obtained. If you cannot satisfy the next owner and more importantly their bank or building society, the sale may not proceed and if you answer the question incorrectly you could still be liable, even if you no longer own the property. There is no time limit and in theory the legislation can cover alterations going back as far as 1948. Thirdly, keep good records. For the most part, like for like repairs do not require listed building consent. However, if the repairs are so good you cannot see the difference it has been known to cause problems. The best advice is to keep a copy of the builder’s quote stating that it should be a like for like repair and take before and after photographs to prove the point – should it ever be questioned. Fourthy, if you are worried about loss of heat through old windows, speak to your local Conservation Officer and see whether there are any suitable “heritage windows” that are double glazed that would be acceptable. Ideally like for like replacements or repairs are preferable. Do not rush into replacing windows with a modern alternative in the hope that it will not be noticed, it is more than likely to come back to haunt you and probably cost more in the long run. 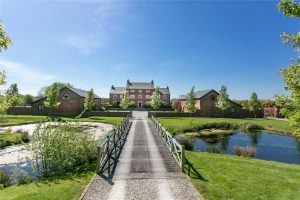 This exquisite Grade II listed Georgian six bedroom country house is available through our Wilmslow branch. conservatory or convert an existing outbuilding, be prepared to ask the questions and be open-minded. Do not take it for granted that any extension or addition has to be built in the style of the existing building. Historic England has been known in the past to recommend a more contemporary style extension on a Grade I listed home so that the new addition is clearly a 21st century build phase and not something that could be confused to date back to the 16th or 17th century. Each listed home is treated individually and there is no exact formula so be prepared to treat ownership of an historic building as a journey and be ready to be patient and flexible. There is an amazing network of owners and experts out there, many of whom are prepared to share their knowledge and expertise. For advice on where to begin your listed building adventure, get in touch with us through our website or call 020 7664 6646.